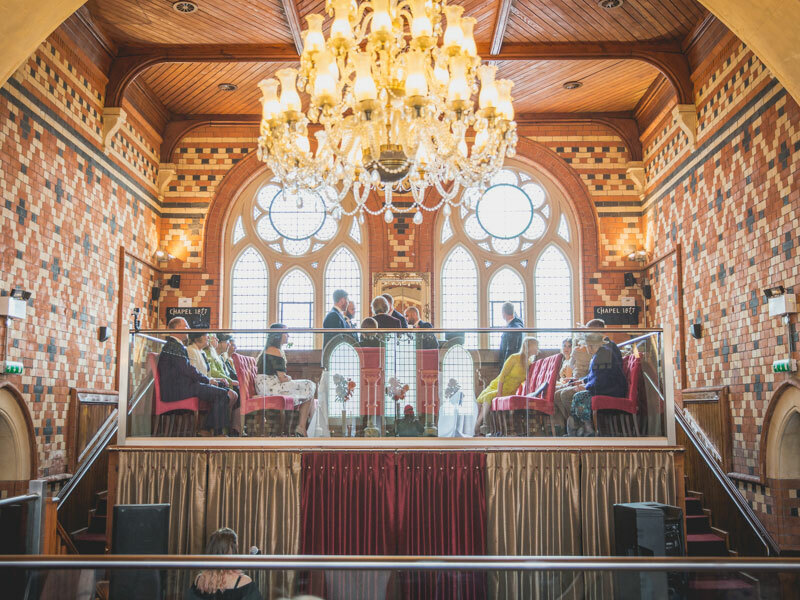 Chapel 1877 is the most vibrant and versatile wedding venue in Cardiff. 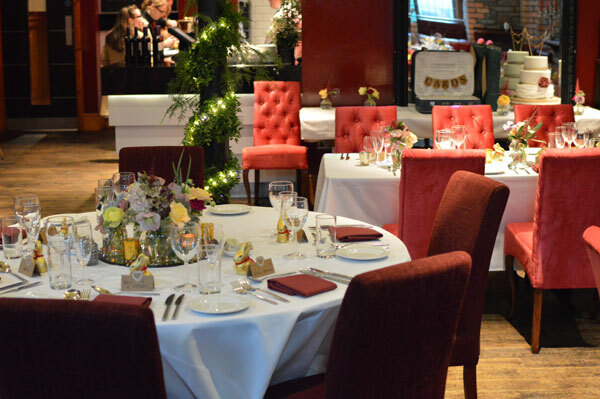 Located in the heart of the city centre, you and your guests have the perfect environment for your special day. Contact us today to start planning your exclusive wedding packages. Have a browse through our wedding brochure to see everything we have to offer. We also have a series of hen and stag packages to compliment the experience. 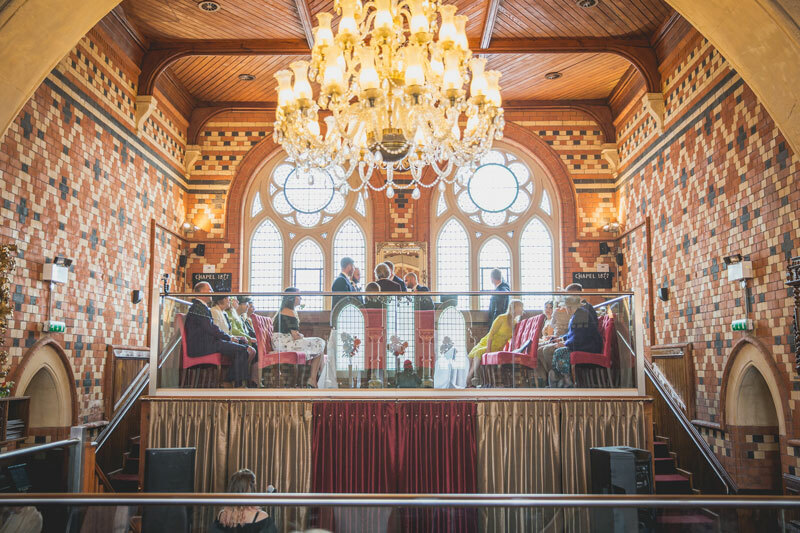 With luxurious Cwtch Booths and Oriel area, exchange vows under magnificent period chandeliers overlooking your reception area. No matter where your guests are seated, everyone will have the perfect view of the ceremony. As you climb the steps, the excitement and emotions build as you reach the top. The light gleaming through the stained-glass windows adds to the magic. The Upper Floor Gallery also has excellent acoustics, meaning no one will miss out on hearing those all-important words. Once proceedings have finished, proceed to dine in opulence created by the meticulous attention to detail and stunning decoration. Get in touch with us now to make sure it’s booked in time for your perfect date. The Churchill Suite is perfect for wedding parties that are looking for a more intimate setting. The cosy atmosphere provides a warmth like no other location. Everything is laid out with precision, from the location of the tables to the folding of the serviettes. Engage in rich conversation at the wedding reception over the finest decoration. Once the ceremony has finished, the suite transforms into a wonderful party venue for your evening celebrations, equipped with its own entrance, private bar and DJ booth to keep you in full swing. Contact us to see how we can add a personal touch to the proceedings to ensure your wedding day is everything you have ever wanted. Here at Chapel 1877, every meal is produced in house, only using high quality, fresh produce in every dish. Your wedding guests deserve nothing more than the finest dining experience. They work around the clock to ensure they have the finest ingredients to produce meals of the highest quality. You will enjoy the finest dining experience that exudes class and expertise. 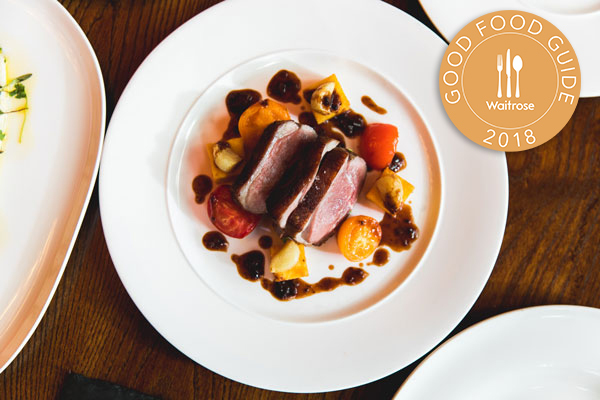 Chapel 1877 is proud to have been featured in the Waitrose Good Food Guide for 5 years running, a testament to our award-winning Head Chef and his team. They will work with you to ensure all dietary requirements are met, leaving every member of your wedding party content with every bite. Our talented waiting staff will also ensure you and your party will enjoy a luxurious experience.